The WinPlus XLite entry level prompting system is ideally suited for simple pieces to camera. 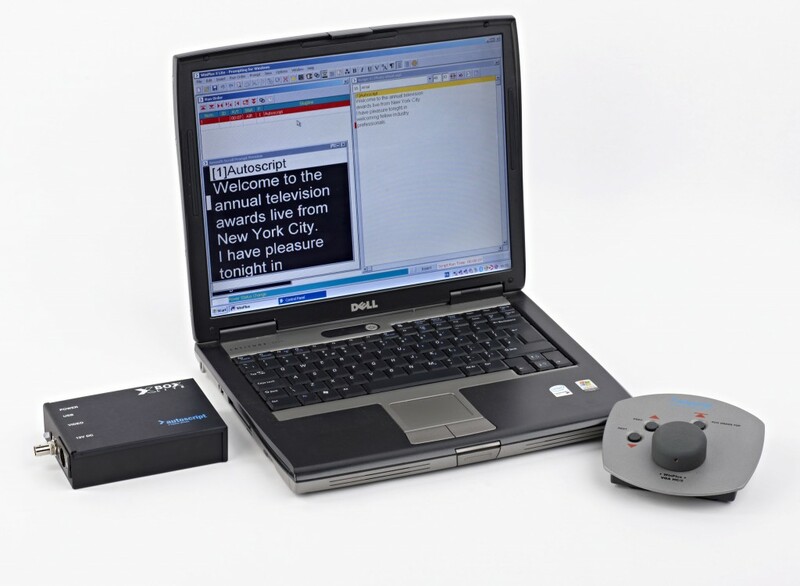 Includes the WinPlus smooth scroll circuitry used in Autoscript’s broadcast standard products. Autoscript have moved away from using VGA out of a laptop/desktop and replaced it with the XBOXLITE which generates broadcast quality video. Using the XBOXLITE means that regardless of the machine generating the signal the scrolling script image will always be smooth. Connections Data: DC Power In Socket Connector type: 4 pin XLR plug. 1 x HC5: 3 Button Desktop Hand Control.